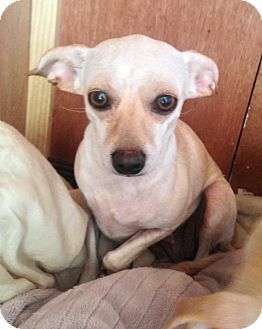 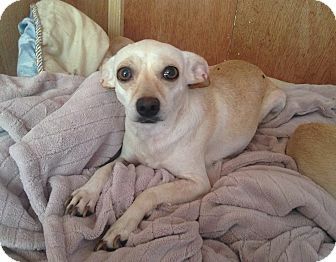 This beautiful chihhuahua terrier mix has the most beautiful amber colored soulful eyes that reflect her delicate, smart and sensitive personality – she truly is special! 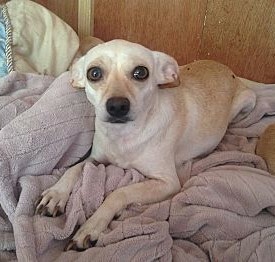 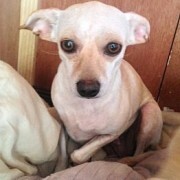 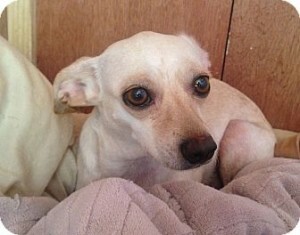 Amber also has 2 puppies that are available for adoption – one female and one male. 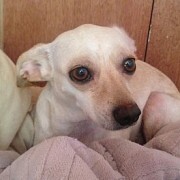 She was rescued from an owner that was facing eviction just before she was taken to the city shelter. 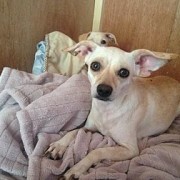 We rescued 7 dogs from this home and now they all need forever homes. 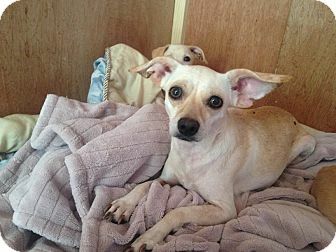 She seems a little shy at first, but once you make friends with her, she becomes your best friend and doesn’t want to leave your side.